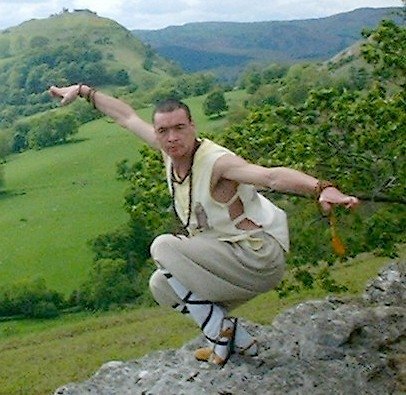 Hafan Shaolin Cymru School of Kung Fu & Qi Gong hosts one of only 3 genuine ordained Shaolin Monks in the UK. Shi Yong Jie (Pol Wong) is a 33rd Generation Shaolin Monk. Both the Gung fu and Qi Gong course syllabuses are based on authentic Shaolin Temple training methods. The syllabus has been constructed by Shaolin Monk Shi Xing Du and Shaolin Disciple Shi Yong Jie. Based in Ruabon, Wrexham, Hafan Shaolin Cymru offers Gung Fu and Qi Gong training for both adults and children. Hafan Shaolin Cymru was set up with the intention of putting roots of Shaolin Gung fu into new ground in North Wales. Following many traditional Shaolin training methods, philosophies, approaches and by applying hard work and perseverance we hope that the roots will become strongly established and continue to flourish. Pol Wong began training in martial arts at the age of 10 and dedicated much time and energy learning, developing and researching Gung fu. During this time he studied under a wide range of teachers and masters. After some years of training in the Southern Shaolin style he felt that for him the roots of certain parts were missing. 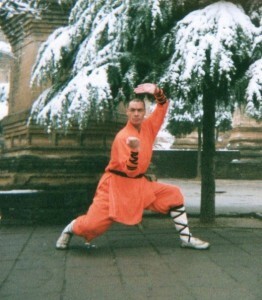 This ultimately led him to Shaolin Temple where, since 1996, he has trained under some renowned masters. Eventually learning the ‘old Gung fu’ of Shaolin Temple. Here he found what he was looking for in Shaolin Chuan. While realising that so far he has only scratched the surface, the knowledge that Pol possesses together with many years of experience and the kind help of great teachers will help Shaolin Gung fu to become established and in the future bear fruit for the benefit of everyone, thus relating ancient Chinese art to modern day western culture. Pol sees Shaolin Gung fu as a precious treasure and in Hafan Shaolin Cymru’s years he has had many students who share his enthusiasm and admiration for Gung fu. It is the policy at Hafan Shaolin Cymru to host top level masters and experts in various fields of martial arts so that students have the opportunity to learn from the best teachers.